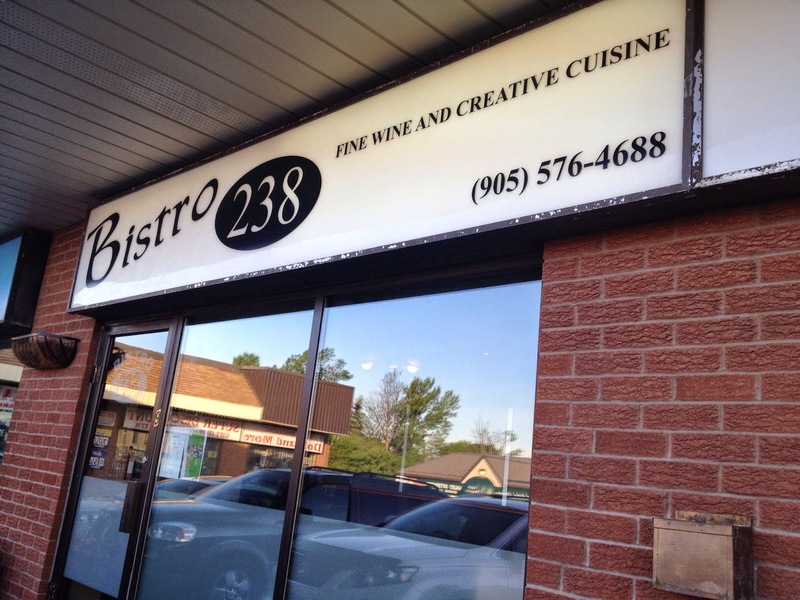 Home / Oshawa / Must Go Back to Bistro 238! Must Go Back to Bistro 238! It was my grandmother's birthday and I wanted to take her somewhere we both hadn't been. Bistro 238 had fabulous reviews and a tasty looking menu, so off we went. The décor was beautiful. Dark leather chairs that you just didn't want to get out of. The staff were friendly and seated us quickly. It's a small space, but it doesn't feel small. They make use of the space, but you don't feel crowded. It's located in a plaza, so the picture above should help you find it. We were hungry, so we quickly made our choices. My Nan went with the Veal Tenderloin Special. 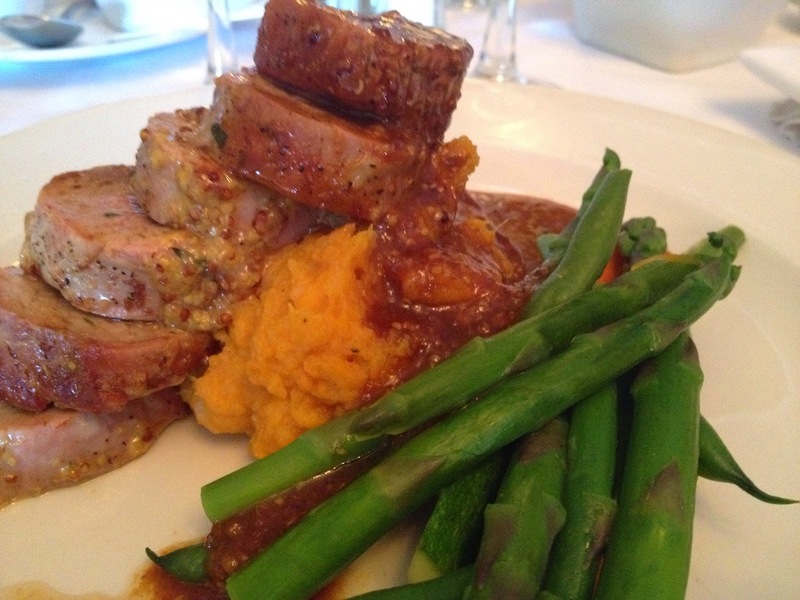 It was a huge, tender piece of veal with seasonal vegetables smothered in au jus. I was worried because she's not a big eater. I stand corrected. She ate the whole thing it was so good. All she could say was that it melted in her mouth. My Dad selected the Alberta Striploin. It was as big as the veal! He too said it was fantastic and didn't leave a morsel on his plate. Cooked and seasoned to order with veggies and the cheddar & leek croquette smothered in mushroom ragout. So savoury! I picked the Honey-Dijon Pork Tenderloin. Juicy, tender, sweet and savoury; I was very happy with my choice! The mashed sweet potatoes with the apple-brandy reduction was a winning combination. The presentation of all plates was perfect and the flavour combinations were perfect. Needless to say, we were stuffed. But...it's a birthday! Cake was in order. I chose the Lemon Mousse Cake, It was perfect after a meal like that. Light and airy with a delightful lemon flavour, but not too sweet. What Nan chose was AMAZING. 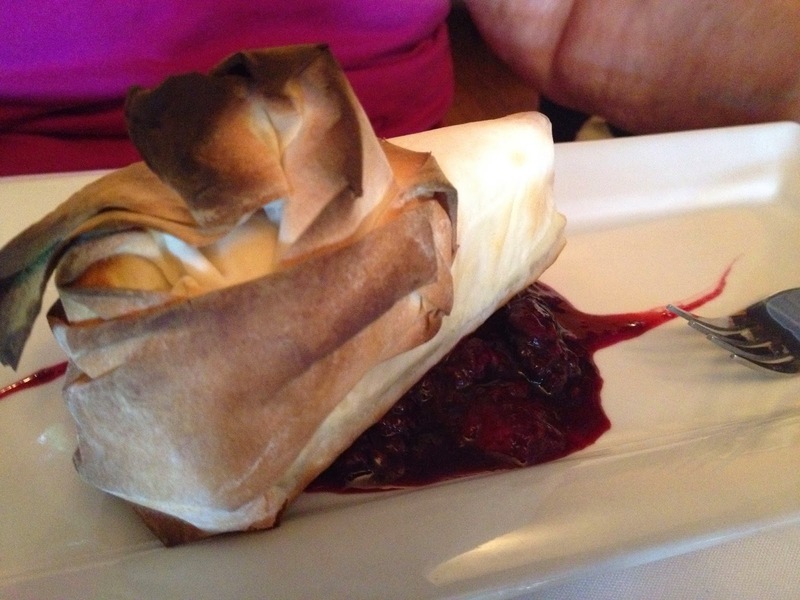 I had to copy this description from their Facebook page to get it right, "New York style Cheesecake wrapped with Phylo pastry, baked in the oven and served with a warm berry compote." There aren't words to describe how amazing this was. I was lucky to get a bite. The warm cheesecake, the Phylo, the warm berry compote was absolutely to DIE FOR. I cannot encourage you enough to try this. I'm a chocolate person and I would give it up for this dessert. A fantastic venue to treat my grandmother on her birthday. She loved it and told everyone she knew about the food, and especially, the dessert. 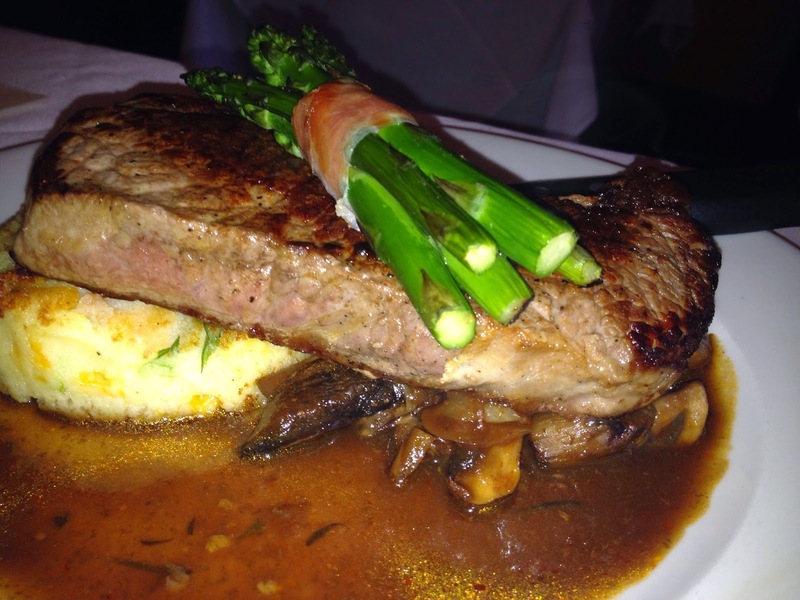 The service was professional and the prices were on par with the quality of the meal. I can't wait to go back; MAYBE I'll get a whole piece of that cheesecake to myself!